I received the following email last week about sugar cravings. After typing up my response, I thought it would make a good blog post! 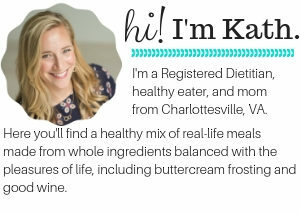 Hi Kath!I love your blog and I really respect your nutritional standpoints. Your Baby KERF stuff resonates with me too. 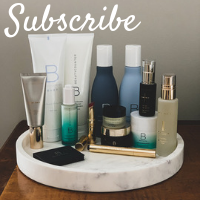 It’s great!I searched your blog and couldn’t really find anything on this topic, so I’m hoping you could enlighten me a bit… I am feeling pretty stuck in a long-term sugar binge (~month). In the past I’ve done the Whole30 to give my body a chance to reset. These days, cutting entire food groups doesn’t really fit with me anymore (thank you ;)). I’m wondering how you would suggest going about getting out of a pretty rough sugar cycle. Just drop sugar for a while? Any thoughts are greatly appreciated! 1) It’s easier to add than subtract, so think of things you can add when you’d normally want something sweet. A lot of times sugar acts as a palate cleanser for me after a meal, so anything that can refresh your mouth might help. Can you treat yourself to some fancy hot teas? Kombucha? Sparkling waters? A new toothpaste? Even putting an extra toothbrush in the bathroom closest to your kitchen might help! 2) Out of sight, out of mind. If you have to physically leave your house, get in a car and spend money on a freshly churned ice cream cone, then it will be worth it! 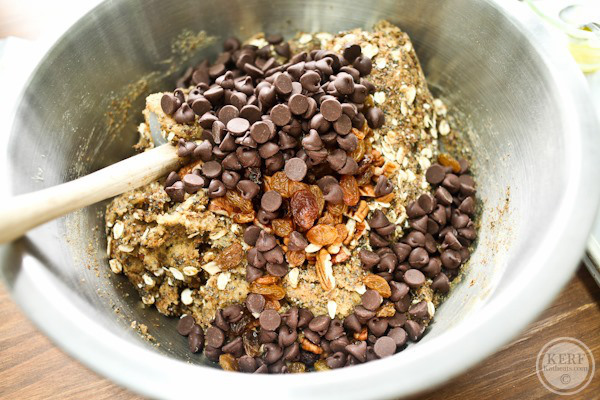 Going into your pantry for a handful of chocolate chips is much easier and probably not as fulfilling of an experience. So when you’re having a craving-free moment, gather all of your in-house sweets and give them to a friend. If a spouse or kids make that impossible, put them in a room other than your kitchen that’s inconvenient to go to so you’ll have to go there and think about what you’re doing when a craving strikes. 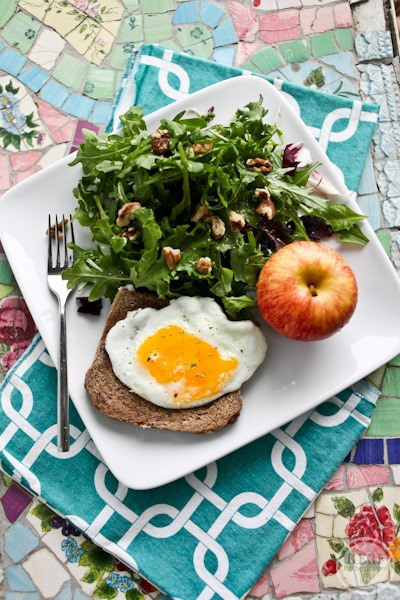 3) Make sure you’re eating balanced meals to start with. Often times I find myself wanting some sugar when my meals haven’t been as balanced aka satisfying as usual. Sugar cravings might be the body’s way of saying you need more carbs – healthy whole grain carbs – so take a look back at your meals and ask yourself if any of your macronutrients are lacking. For me about 45-50% carbs, 30% fat and 20-25% protein works best. Filling up your fridge with a bounty of your favorite healthy foods will also help inspire you to proactively eat well. Great ideas! I too struggle with this on a daily basis and find that the first option works the best for me. If I have other things around me to reach for when a craving hits instead of sugary treats, I’ll grab one of them and usually be satisfied. I love making little balls of dates, almonds, almond butter, and cacoa powder to have on hand at all times–such a good, healthy treat! Someone suggested probiotic foods and supplements to keep the sugar cravings away. It takes a while to get back in balance but it has worked for me. Kind of makes me feel like a zombie…these microorganisms are telling my brain what they want to eat? Whatever it is, if I don’t have to rely on willpower as much, I’m game. Great tips! I also just like having a bowl of berries if I’m having a sugar craving. Great tips, Kath! I am a huge fan of your first tip! If your body doesn’t “need” anything it won’t ask you for the crap! If I’m craving something sweet, I usually make a small juice/smoothie. These are great ideas and actually, this morning on The Today Show, they started an intiative to reduce sugar, also. Great suggestions, Kath! I’ve been using the add, not subtract method and it had been working well, knock on wood! After lunch I either have a cup of tea or recently kombucha since its so hot out!! I also visualize my goals when a craving strikes. I ask myself ‘why’ I want the particular food, whether or not it’s ‘worth it’ and am honest with myself about my goals. Will this hinder or help me move faster, lift more weight, or have better gym performance? Will it give me lasting energy or lead to a crash later? Also, wearing my more fitted clothes/shorts/ help keep in my head that I’m not yet to my goal and to keep on truckin along. So true about meals and cravings. I find I’m always scrounging for fat if my meals are lacking. great tips! I love the idea of adding versus subtracting! Great tips! Sugar is one of my biggest weaknesses! Great tips! I especially love the one about the toothpaste :- ) What about simple carbs? I read somewhere that the body treats them as sugar. Do they help or hurt a sugar craving? Thanks!! Whole grains and complex carbs are best! You don’t want your insulin levels to spike up too high too quickly or you do get in that craving cycle. I think #3 tip is totally critical! If you don’t have a balanced breakfast or lunch, especially, afternoon sugar cravings, around 3 or 4pm are so hard to battle! I find that eating regular meals or snacks really helps to avoid overdosing on sugar later on! I really enjoyed this post! Can you provide the recipe for the first picture? Thanks! Hm. I wonder what the writer considers a “sugar binge”. Having a highly processed sugary snack every day? Eating all junky sugar and few balanced meals? I like suggestion #3. Also the pic you posted at the top alludes to another good hint–making snack balls, etc at home that will curb the craving with good stuff. I swear by tip #2. I stopped buying sweets and other more nutrient-empty foods (that taste oh so yummy!) about 5 years ago and I can count on one hand how many times I’ve actually left my house to satisfy a craving. It works so well and it also makes you cherish every.single.bite. of a dessert when you actually have one. I totally needed this! At 8 months pregnant, I’m trying really hard to eat well and not do many treats (only in social settings where I’d feel bad turning down something offered to me). I reeeeeeeally want to do well at this, especially because I had quite a lot of sugar the first trimester. One thing that works for me — this relates to your 2nd suggestion, but if you have someone in the house who wants treats around, ask them to hide them. For me, even if they’re in a different room, my mind fixates on them. But if I don’t know where they are, I can forget about them. Another thing that’s helped — sugar-free gum. It’s actually supposed to be good for your teeth (! ), and it definitely gives me the sweetness and chewing activity that I’m looking for after a meal. It’s really helped me a lot at work. I love the idea about checking that you’re doing enough carbs. I’ve kind of cut them out for the most part because my pregnant body hasn’t handled them well, but maybe I should think about ways to add them back in a bit. Yay, I love all these ideas! My #1 tip is to make sure you meal prep so you can easily reach for the right things, rather than those more tempting, sugar filled goodies :). The ol standby tips like plenty of sleep + water help curb sugar cravings, too! I always want more sugar/carbs when I’m tired because my hunger hormones are out of whack and wanting more, more, more! Empty calories, that is. Frozen grapes have also been a SAVIOR during my pregnancy. I still enjoy ice cream 1-2/week but having these on hand usually always satisfies my need for something sweet at the end of dinner. Like you said, it’s a palate cleanser! Thanks so much for these tips! The out of sight, out of mind tip works best for me. We usually don’t keep ice cream in the house because it will call to me from the freezer. Having to go out for good ice cream once in a while (and having to pay more than just buying a half gallon at the grocery store) makes me indulge much less. I also find it helps if I allow myself 1 piece of dark chocolate a day–helps keep the cravings at bay, I get my chocolate, and I’m getting some great antioxidants at the same time! But I hear Ashley…I can definitely get on a bender, especially around the holidays! Always a voice of reason! Thanks, Kath! Great tips! The only thing that’s really helped my sugar cravings is a good probiotic. Sugar cravings can be caused by yeast overgrowth in the body, which can lead to inflammation and all sorts of issues. Once I finally got on some good supplements my sugar cravings disappeared and my severe anxiety went away. A healthy diet and regular exercise are crucial too, of course. Katie_ what probiotic do you use? I always reach for a fruit first. Sweet on their own but much better than dessert. Numer one is so true for me. I often crave sugar after eating. For me it works to take a gum to clean my mouth! I like the second tip, especially the thinking about what you’re doing part. That is what really helped me with my sugar cravings. Often after dinner I would just automatically go to the kitchen and grab something sweet without even thinking about it. Now when I finish dinner I pause and really think about if I need something extra. Most times the answer is no! One of the things I’ve noticed is that if I have anything “sugar” in the early part of the day (i.e. muffin, donut, sneaking a bite of whatever at work), all day long I crave it. Same thing with that “bit of brownie” after lunch. I try to fight it by not giving in at the start of a day, and avoiding the ADDED sugar as much as possible. Natural sugars–i.e. fruits, vegetables, carbs in general–I think are OK because the sugar is bound. Added sugar–such as is found in all sweets, pretty much all dressings, cereals, many sauces, yogurts, etc–that is not satisfying to hunger according to the “added sugar police”, and I think it is a dangerous slope. But alas, there is no magic cure. Will power be darned. Once I got out of the habit of requiring it, I don’t really crave it as much. Wish my waist knew that, though. #2 out of sight, out of mind really resonates with me. I’ve done that more and more and eating something indulgent is more of a treat and experience. Out of sight, out of mind indeed! can’t wait to move out. Balance, not deprivation! Also drink tons of water, get plenty of sleep and exercise! I’m one of those weird people who crave salt over sugar. But all those not-so-good for you snacks, sugar or salt, have strong flavor to satisfy our tastebuds and wonderful mouthfeel. So I look for healthier foods with intense flavor. Crunchy dill pickles and pepperocini peppers are standard snack items, also a big dish of salsa with a few baked chips. Don’t get me wrong, I love my chocolate too. Hershey’s kisses can be an easy way to satisfy the chocolate beast without going overboard. My mom keeps a jar of them at her house. She calls them her “medicine” and eats a few (3-4) each day. She is 76 and this is the only “medicine” she takes. Great tips, Kath! As some other ladies have suggested, I find that lack of sleep and stress really amp up my sugar cravings. I definitely look to add in rather than subtract– yummy herbal tea, smoothies or kombucha are some favs. It also helps when I shift focus away from food and look at the other habits that could help assuage my inner sugar monster– like meditating and regular exercise. As soon as I stopped limiting fat, I stopped craving sugar. For years now I let myself eat as much butter, double cream, avocado, nut butter and full-fat dairy as I like and I don’t crave sugar anymore. I also swapped out sweets for 90% dark chocolate, which is divine. If I occasionally feel like dessert after lunch, I’ll have a large dollop of cream with a couple of strawberries or raspberries – beautiful! I avoid most processed foods and eat a wholefoods-based diet, including lots of vegetables. Eating this way, I’ve never had a problem with weight. I loved these! I find that when I’m really busy (like right now–moving across the country), I really crave sugar but my meals are definitely not as balanced as they could be! I’m going to make an effort to add in more veggies, healthy fats, and proteins and drink lots of water to keep me in check. 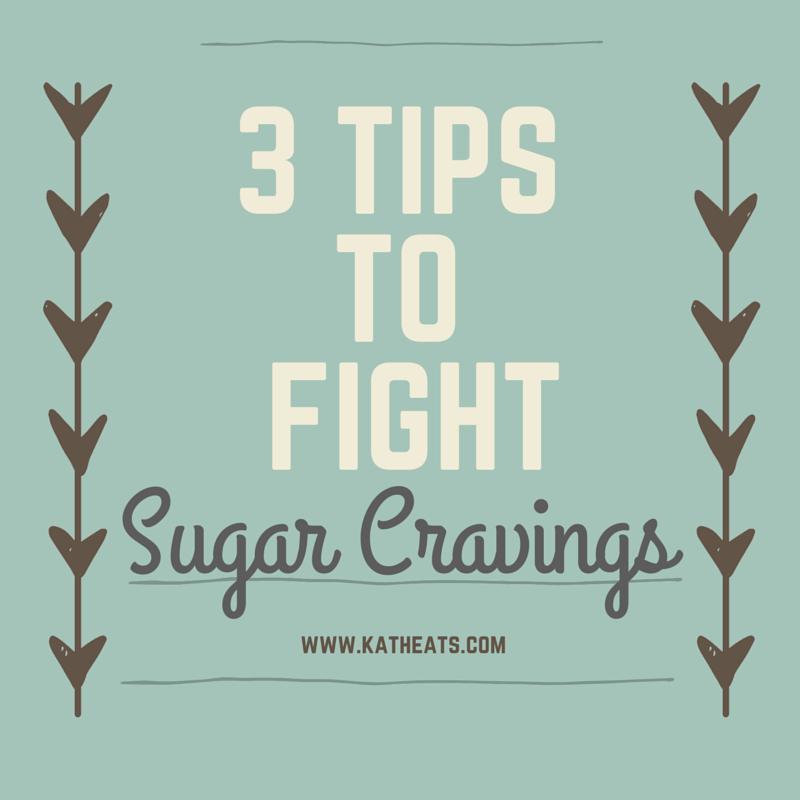 Another thing to note, is that often when we are not consuming enough calories throughout the day, sugar cravings will be amped, because it is the body’s response to lack of energy, knowing that sugar is the quickest source of energy. I find that if I go below 2400/2500 for a day or two, sugar cravings rise dramatically!! Love these tips! As a RD, sugar cravings are the #1 thing I always here from my clients. Will definitely share this with them.